This holiday season, many families won’t have a hot meal on the table. In fact, plenty aren’t sure where their next meal will come from. Knowing this, we discovered that Bobby Flay has been working with No Kid Hungry to try and combat the unfortunate, and oftentimes hidden, truth that America does face right beneath our noses. DC Life Magazine: How does No Kid Hungry resonate with you? 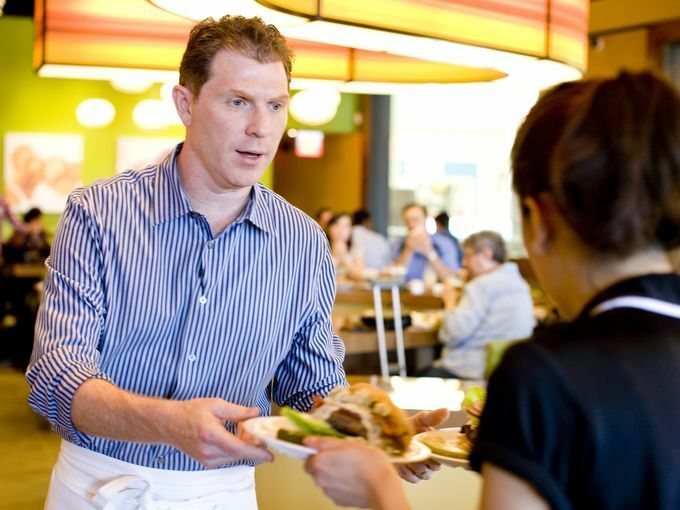 Bobby Flay: I’ve been working with No Kid Hungry through Food Network for years, and truly believe in their mission. As someone who has built a career in food, the fact that 1 in 6 children in the US faces hunger on a daily basis is an issue that I had to help address. I’m looking forward to making an impact through this partnership with Bobby’s Burger Palace, and in future collaborations. DC: What are your thoughts on the amount of food wasted in America, mostly because of our incredible abundance of it? BF: Food waste and food insecurity are major issues that need to be addressed. It’s through work with organizations like No Kid Hungry, and other fantastic organizations around the country, that we’re able to really have an impact and see change. I’m happy to work alongside No Kid Hungry and use my platform to bring attention to these important issues. DC: In this day and age, which nationalities’ or cultures’ cuisine seems to be the most underrated and why? BF: There’s too many to name! I’ve always been drawn to the bold flavors of the American Southwest, and I love following those ingredients into Central and South America. DC: Bobby’s Burger Palace’s pistachio milkshake is, by a mile, the best I’ve tasted. What are you doing to these things? BF: 11oz of premium ice cream and quality ingredients. If I’m going to indulge I’m going to make sure it’s the absolute best version of a pistachio shake out there. It’s the perfect addition to my cheeseburger diet. DC: How can we help No Kid Hungry this holiday season? BF: First, place an order online through order.bobbysburgerpalace.com to donate $1 to benefit No Kid Hungry, and you can add in another donation as well at checkout. There’s so many ways to help kids in need, just visit nokidhungry.org!